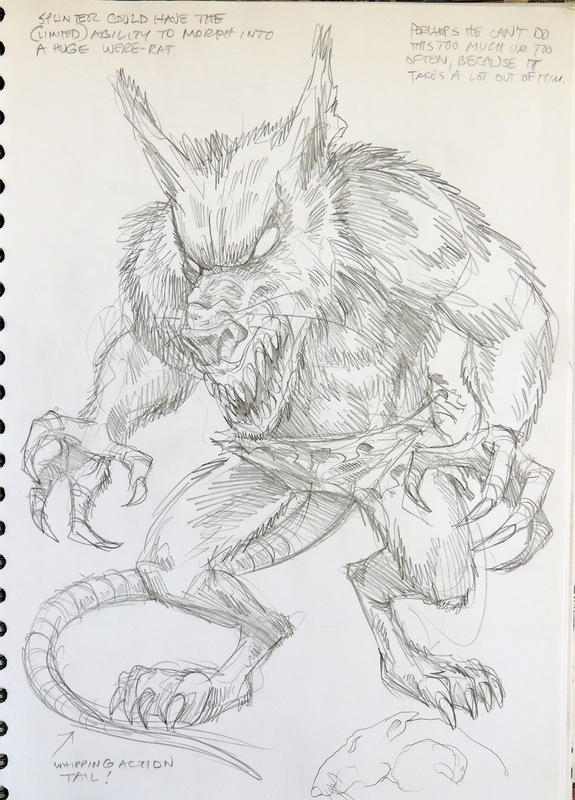 Peter Laird's TMNT blog: Blast from the Past #660: Sketchbook page 3, ideas for hulking mutated Splinter "were-rat"
Blast from the Past #660: Sketchbook page 3, ideas for hulking mutated Splinter "were-rat"
Perhaps he can't do this too much or too often, because it takes a lot out of him. I wonder how this would have worked out if we'd actually gone forward with it? Did you imagine this to be a power under his control? I would have loved to see him struggle with controlling it. 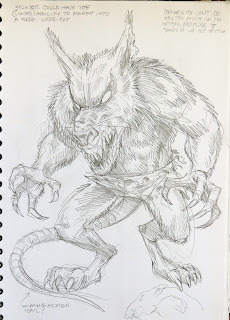 Splinter looks amazing as a mutated beast! I actually kinda liked his stint as a murderous vampire bat in the Image comics (random as it was)! Gclub Our online casino games are available. Many players to play 24 hours a day that the players have fun and come to play games. The home of the players of the game. Baccarat online baccarat game online slots thirteen cards, dice And other sports betting games. The risk to the gambler was easy to gamble that our gambling games that players have to make simple money. Online In the computer, mobile phone, notebook, etc. For those who are interested in risk, we quickly apply for a chance. With our online casino online. Ensure that when you come to bet. You have to be absolutely sure of our betting.